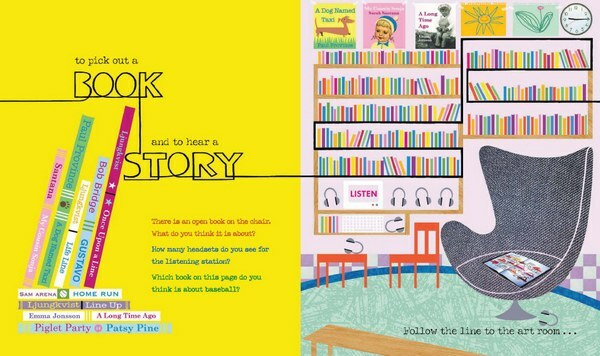 Last year we introduced you to the incredibly stylish, incredibly entertaining Follow the Line series of picture books by Laura Ljungkvist. You’ve followed the line through streets, around the house and all over the world but now it’s time for kids to follow the line to school. 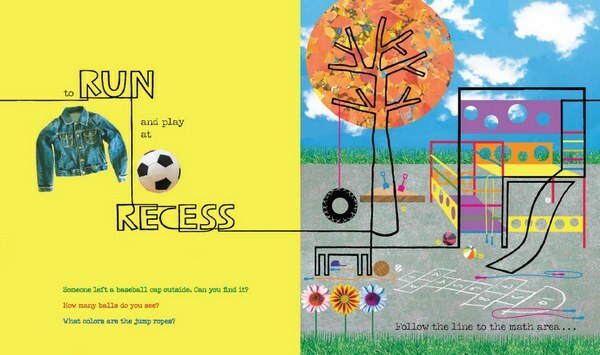 Follow the Line to School keeps with Ljungkvist’s successful formula – the illustrations feature a single, continuous black line so that children can trace their way through the school day. 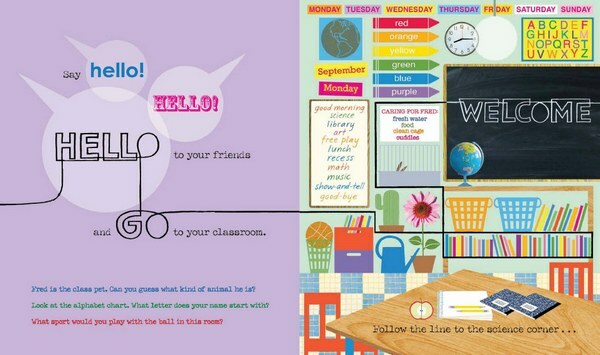 Begin with heading through the school door and follow the line to the classroom, the library, the art room, the canteen, the playground and the music room. In keeping in style with the other books in the series, the school edition has superb collages with a distinctly retro feel – bold colours, photographs, typography and collage patterns are used to great effect. Check out the library where you see an Egg chair upholstered in textured grey flannel, photos and retro illustrations used on the covers of the books and a ‘wooden’ table. The format of these books encourages reading over and over again. Read it the first time and simply follow the line. Subsequent readings reveal all the extra details – Ljungkvist asks “Whales live in the ocean. What other animals shown here also live in water?” and “Look at the alphabet chart. What letter does our name start with?” Each page includes a number of such questions, encouraging keen observation from young readers. 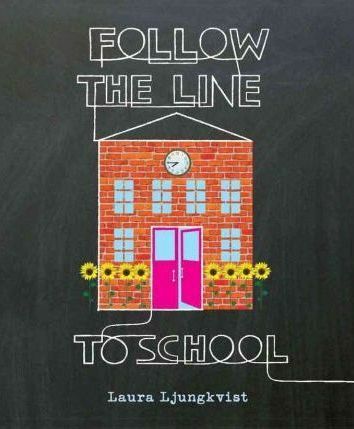 Follow the Line to School is available from Book Depository for $14.55, with free post to Australia.